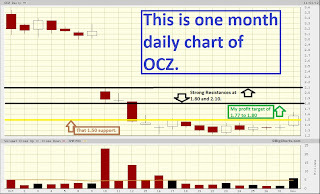 TRADER 9: Trades of the day, CMVT and OCZ!!! Went long 1000 shares of CMVT this morning @ 3.51, but ended up selling for a loss @ 3.39 because it just had a painfully slow downward drift. I finally read the news on this company to see why it drop some much in the first place. Ugh, should have read the news first before even placing this trade. The reason why it open down is because the company is now a spin-off from another company and CMVT is an independent public company now. 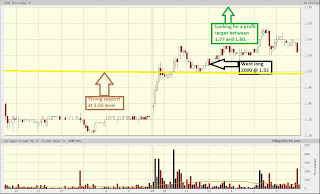 When I did my calculations the stock wasn't really dropping, it was just adjusting to its new price now. 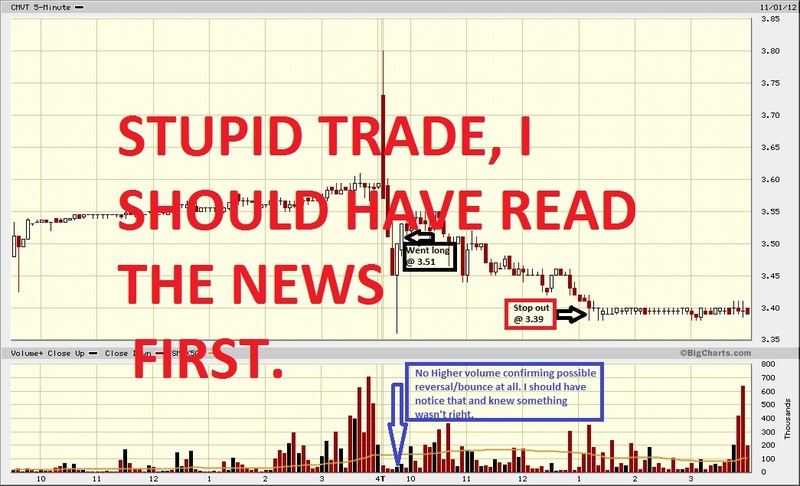 Sometimes you gotta glace at the news before blindly going long on morning drops. 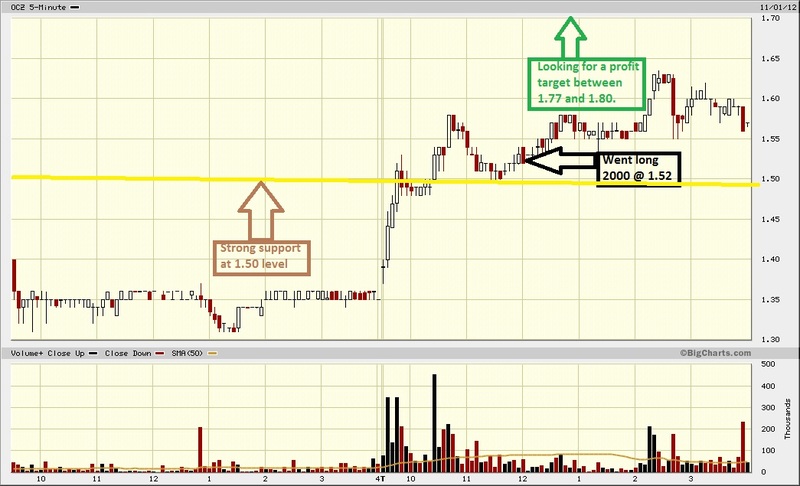 I usually don't play breakouts type of trading strategies, but there were no stocks this morning for a Dead Cat Bounce play. 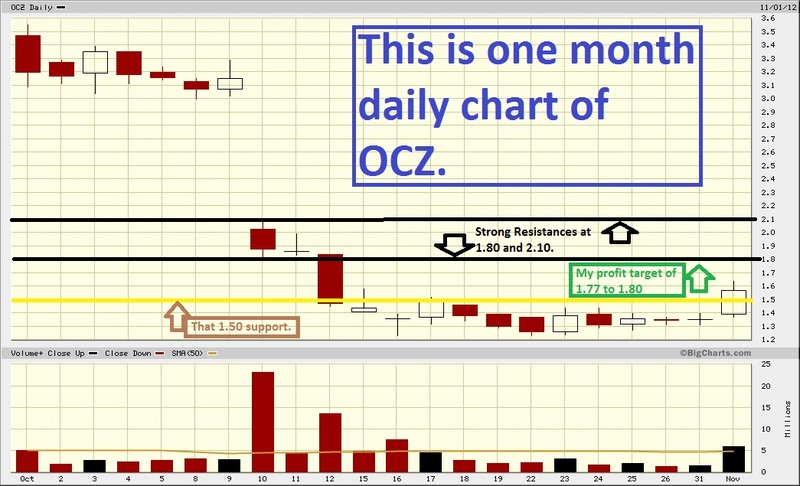 Got bored and bought 2000 shares of OCZ when it broke resistance of 1.50 and got filled @1.52. I'm looking for it to possibly get back to 1.80 (its next strong resistance point), but it got all the way to 1.635 and did a little headfake late in the day. 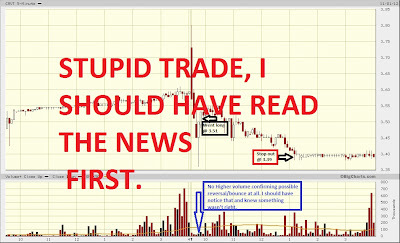 Since my stop was moved from 1.47 to 1.54 after the stock broke through 1.60, I just decide to hold it overnight and see what it does the first 15 minutes when it opens tomorrow morning. Word of note: hate holding positions overnight.